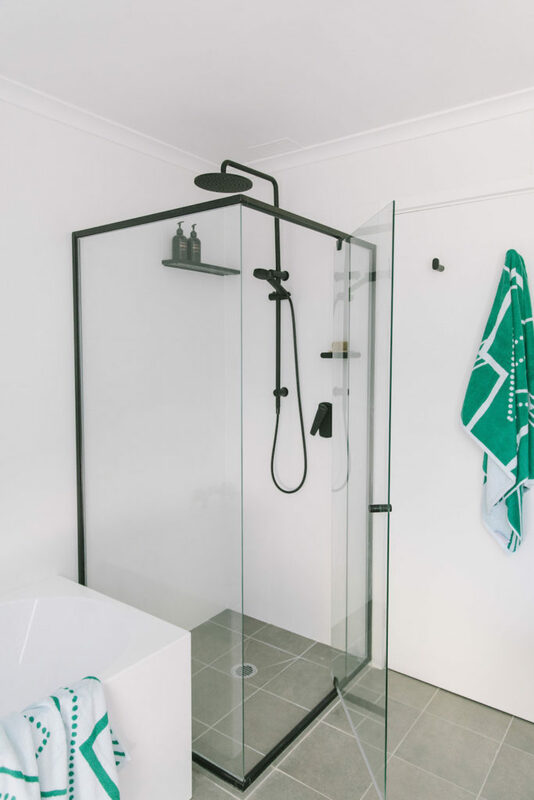 We’ve been busy renovating Bonnie’s house the past few months and one room that’s finally finished (well 95% finished) is her bathroom! 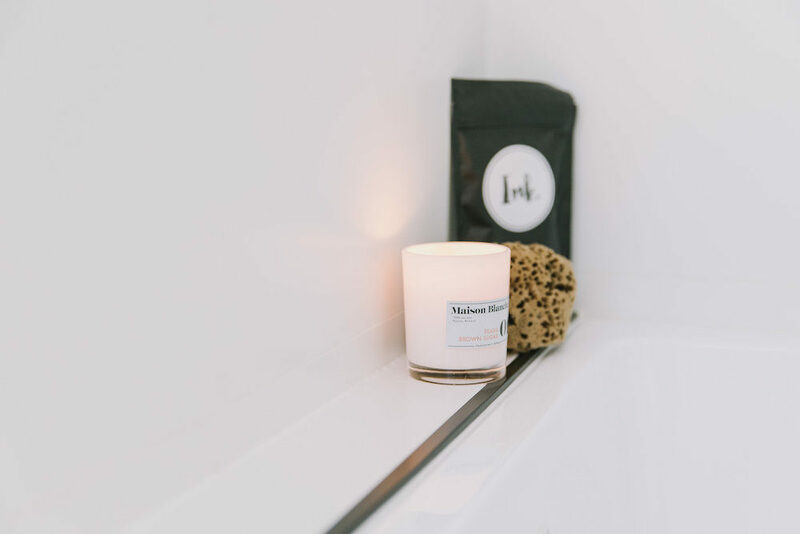 Today we’re sharing all the before and after photos, details of all the products used, and also sharing the budget — something people rarely tell you! 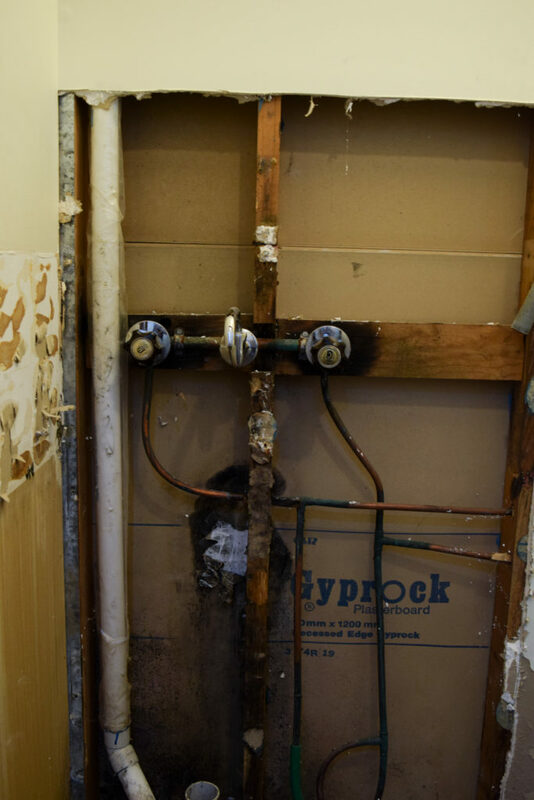 We certainly learnt a lot from this reno and next week we’ll also share our top lessons so you can hopefully avoid some of our mistakes or be a little better prepared for your next bathroom reno. 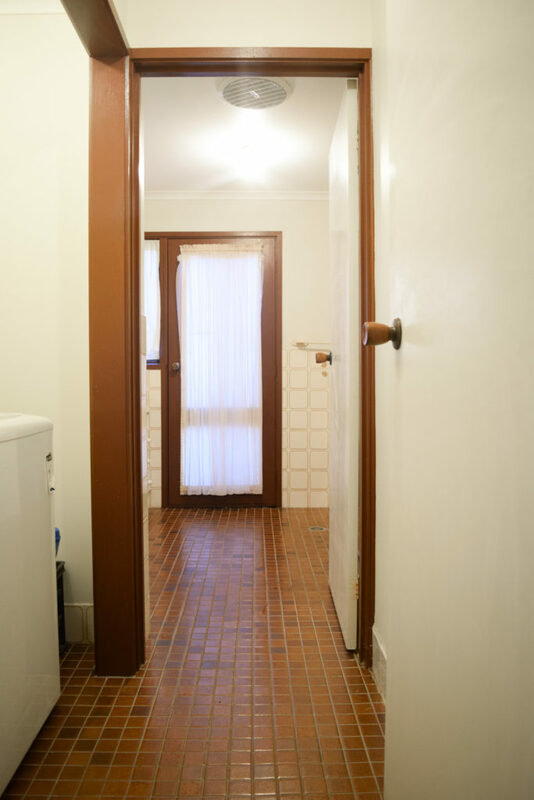 Of course, Bonnie’s original bathroom (like the rest of her house) was brown as far as the eye could see. 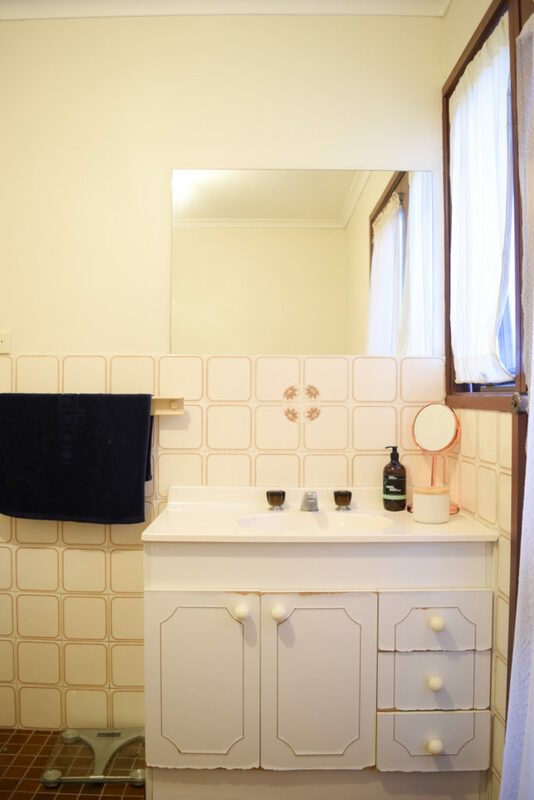 Bonnie first planned to spend under $5,000 on her bathroom by installing a new vanity, tapware and repairing the missing or broken tiles, and resurface the tiles in white (using a company like Resurfacing Australia). 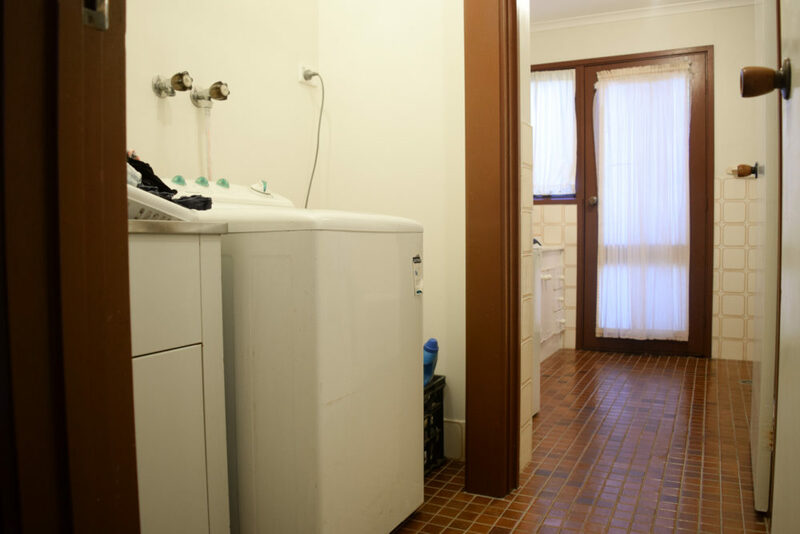 But there was quite a pronounced smell in the space that made us worry there were issues below the tiles and a larger reno would be needed. 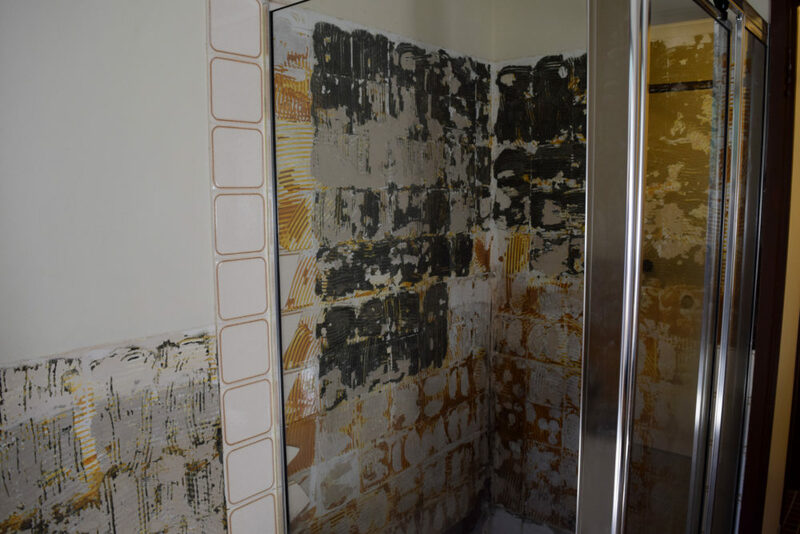 As Bonnie plans to live in the house for some time, we decided to do her bathroom once and do it well — and thank goodness we did! 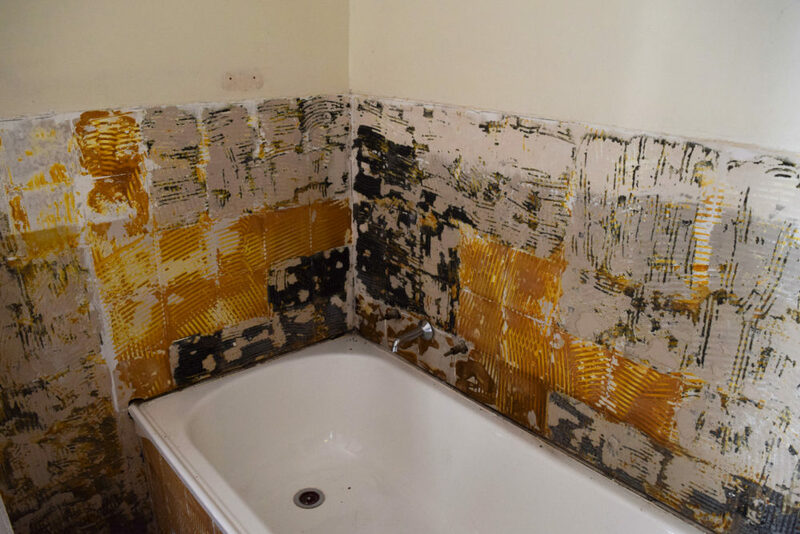 Once we removed the tiles, we discovered rotten stud-work and mouldy gyprock that needed to be replaced, asbestos, that the ceiling had fallen off the batons, and other water damage. 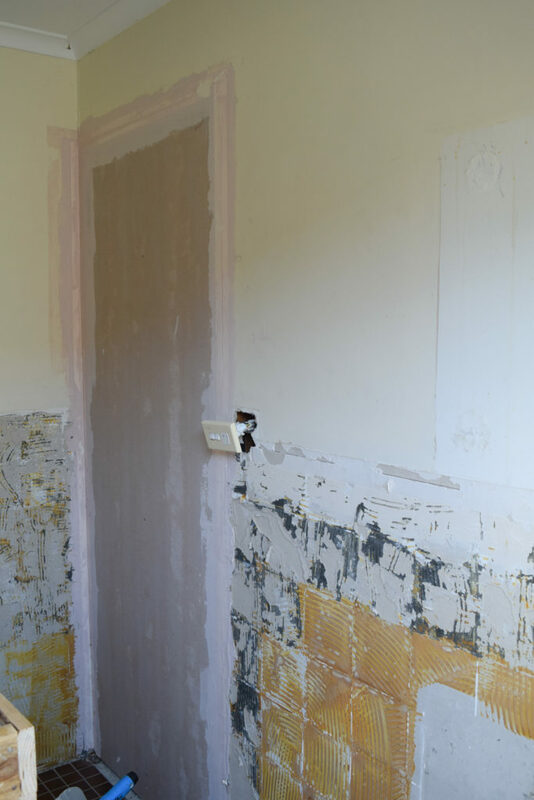 In the end, we ripped everything out — bathtub, shower, vanity, toilet, all tiles, lighting, and also levelled out the floor so the shower was at the same level and not raised. 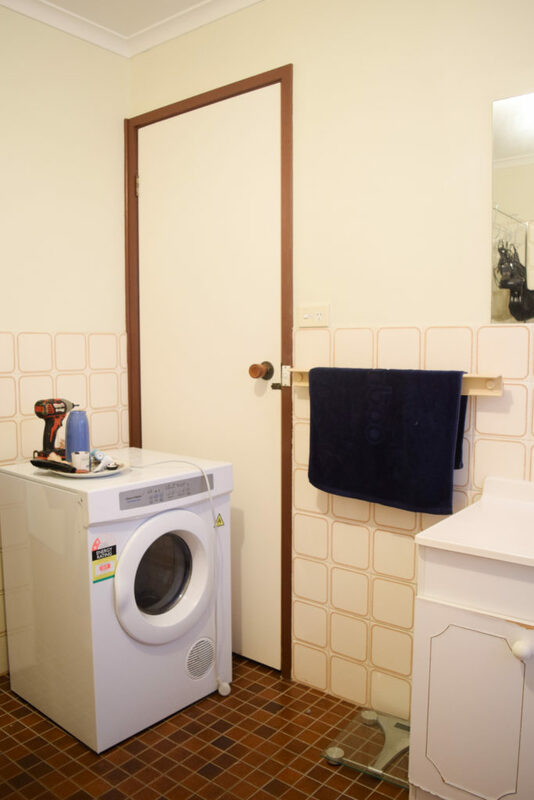 We also filled in a second doorway (from her bedroom into the bathroom) as it was creating dead space in the bathroom that could be better used for storage. This of course blew out the budget and in the end, the total cost was $17,000. 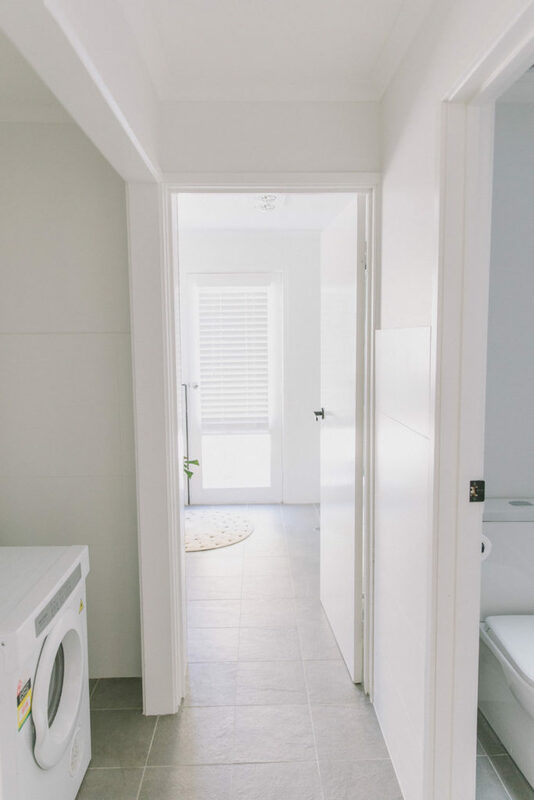 This cost included all professional trades, including removal of the asbestos, fixing rotten stud-work, repairing the ceiling, plastering, waterproofing, tiling (this time up to the ceiling and not just half height), repairing plumbing and installing all new products, new lighting, and painting too. 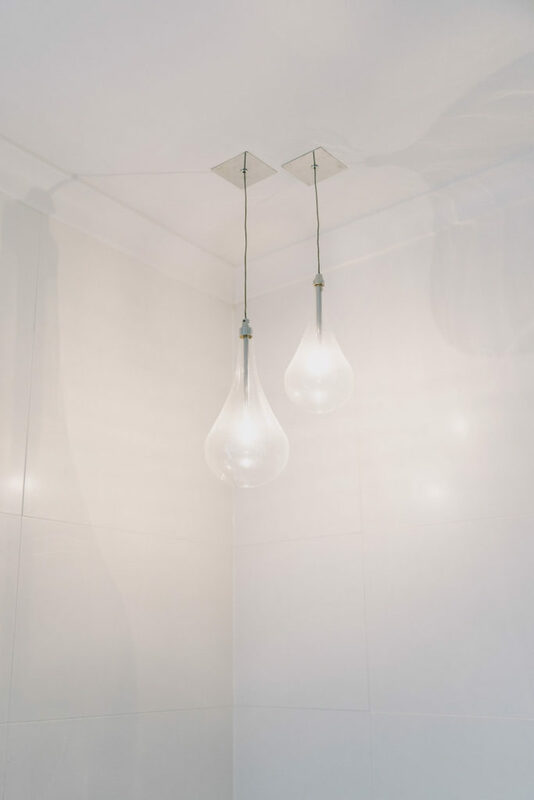 We’re so thrilled with how the bathroom is looking now! 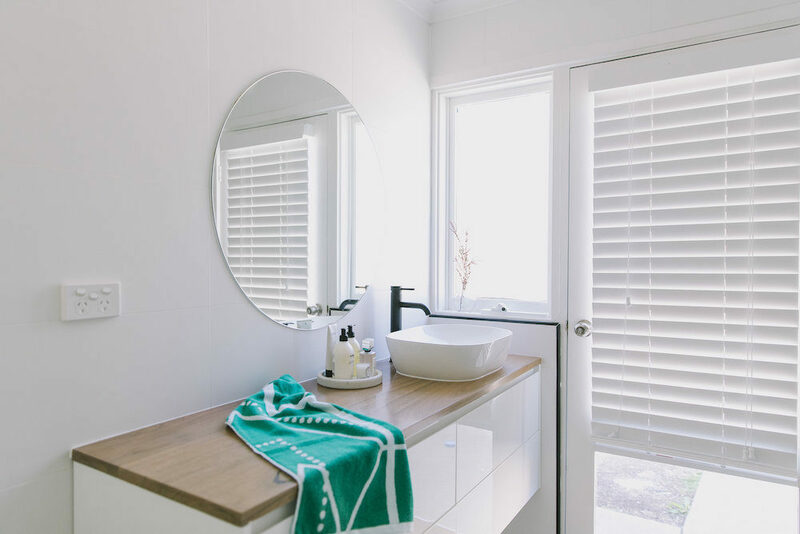 Despite all the hidden surprises and issues along the way — and boy were there a lot of those — Bonnie just loves her new bathroom which feels light, bright and generous in size. *Disclaimer: some of the products featured were discounted or provided. All that’s left to do in here is build some additional cabinetry next to the vanity to take advantage of the extra space we created by filling in the doorway. This isn’t a top priority right now though and so we’ll wait to get something custom made down the track. 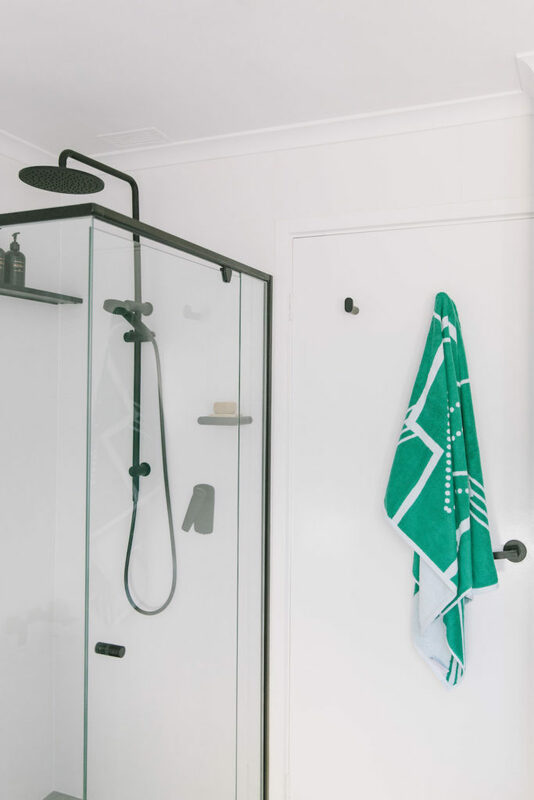 Hi, I have just come across your site via Instagram and love this bathroom reno! 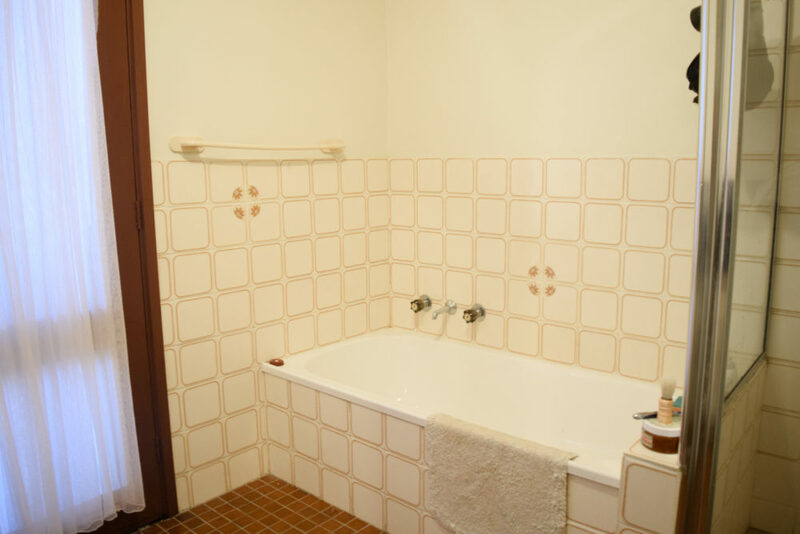 Is the bath the Forme Rubix from Harvey Norman? Hi Zoe, thanks for your lovely comment. 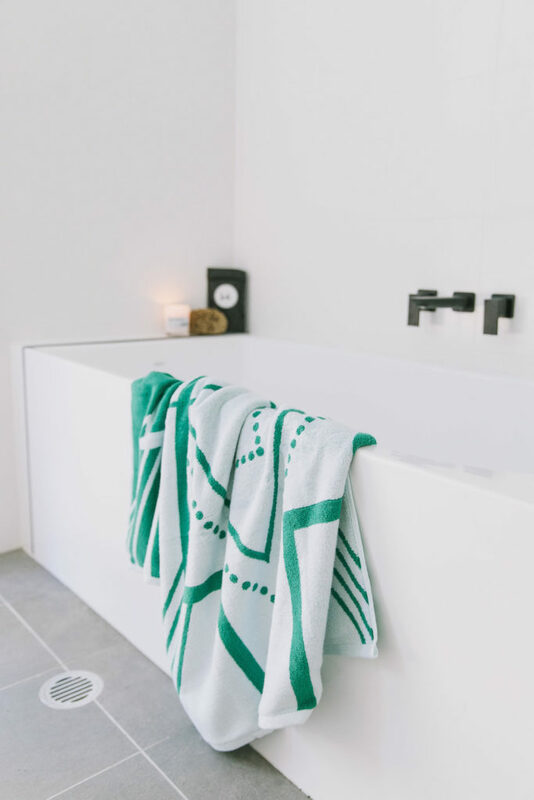 Yes it is the Forme Rubix bathtub so it’s a little deeper but shorter than a standard bath – great for small spaces! What a transformation! It looks so bright and airy now. 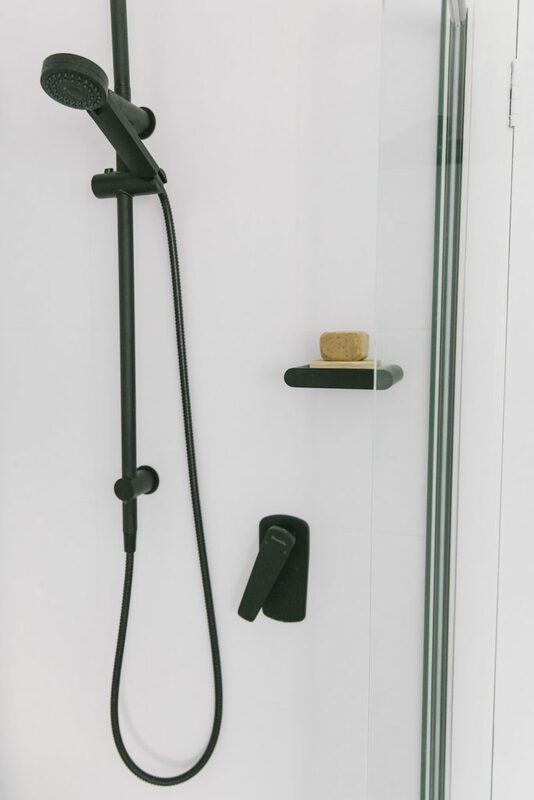 I’m loving the vanity top and wall hooks, you can never have enough hooks hehe.